Soon it’s Christmas and the hunt for the perfect presents starts all over again. For some people this means browsing the web or wandering the shopping malls for weeks. For others, however, it means postponing the present purchase until the bitter end. Lets be honest here, who wasn’t already in that situation of still missing one present for brother or sister on Christmas Eve?! Luckily we from Artyvects have the ultimate present idea for you, so you can spend the Christmas time with more important things like drinking Glühwein: The present within a present! ”Procrastination“, that’s how the new epidemic is called. It is particularly wide spread among students. I am infected myself with the procrastination- type: ”the listmaker”. Symptoms can be expressed as following: I make a list with ideas for presents in the beginning of December and shortly before Christmas I realize that I also have to purchase those presents! If you want to know which type of procrastinator you are, here is a funny guide that can help you identify it. Now the good news: Procrastination is not that bad! At least not in regard to this year’s present hunt: You can still order our wallets online until the 21st of December and they will still arrive in time before Christmas. If you want to be cured from procrastination you can of course also order now already. The best present is actually still a coupon or money because the receiver can decide herself/ himself what to buy with it. So you are on the safe side. I have to admit, it is not the most original thing to give but you can easily pimp it by just putting the money or coupon in an Artyvects wallet. Voila! Now you have a ”present within a present”, which is original and useful at the same time. You can also go one step further, unfold the wallet and use it as a kind of wrapping paper for your present. There is probably no wrapping material that is more artful than this! 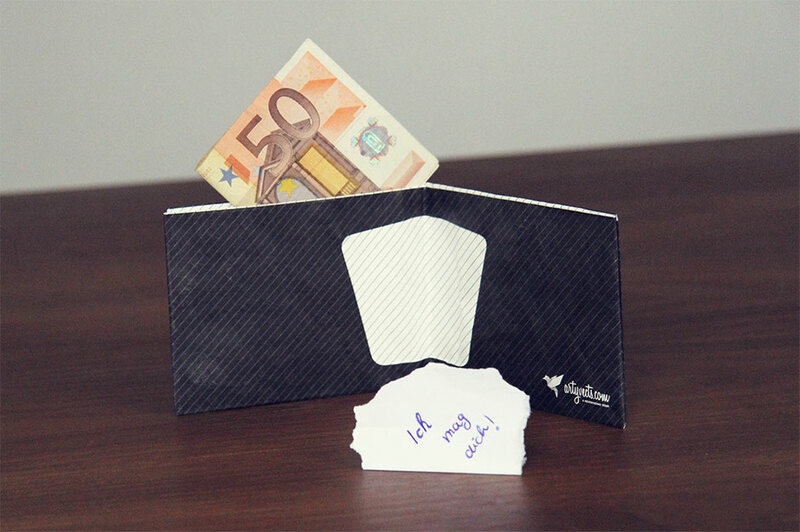 To make it perfect you can also add a little personal note and hide it within the wallet or better yet, write on the backside of the unfolded wallet. Here is a video on how to fold the wallet back together. You see, this year Christmas is saved! With a present within a present you cannot go wrong. In that spirit, lean back, procrastinate a little and stay loose! Artyvects wishes you a stress-free Christmas time!